The future of left politics is not with the affluent voters Jon Ossoff thought he could win over. Jon Ossoff’s campaign to represent Georgia’s sixth congressional district was run on the assumption that an anti-Trump message combined with one about fiscal responsibility could win, appealing to the better impulses of people outraged by Donald Trump but who nonetheless support reining in wasteful spending. One of Ossoff’s more well-circulated ads (entitled “Table”) found him sitting alone at a kitchen table, aping a line from Margaret Thatcher to bemoan how “both parties in Congress waste a lot of your money.” In the folksy imagery and call to reduce the deficit, he invoked a trope that’s been circulated for years by pollster Frank Luntz and other right-wing goons to justify painful spending cuts: if hard-working American families have to make tough choices about their finances, then why doesn’t Washington? The line — as several economists have pointed out — is nonsense. Households do not have the power to set interest rates and print money; the US government does. But from a political perspective, the logic is even more troublingly misguided. That “fiscal responsibility” is a popular, common-sense stance widespread among voters is a prevailing myth of neoliberal economics, and one now embraced across party lines. It also has no discernible base of support with actual voters. Beating the GOP will mean taking that message to heart, and giving voters a bold vision to support rather than status quo austerity politics and a madman to revile. Ossoff’s ideal constituent was a small business owner who probably went to college, believes in gay marriage, and is offended by Trump’s vulgarity. These sorts of people may be more numerous in districts like Georgia Six — 72 percent white, highly educated, and with a median income that’s more than $20,000 above the national average — but not in numbers nearly great enough to have made the difference come Election Day. A recent study from Lee Drutman at the New America Foundation finds that the kind of socially liberal, fiscally conservative voters that the Democrats have spent years orbiting their campaigns around are virtually nonexistent. In a map of 2016 voters along an XY graph of economic and social concerns, respectively, no voters from either party fall on the far right of the economic axis, with Clinton backers clustered on the far left and Trump’s straddling the left and right of center. “The primary conflict structuring the two parties involves questions of national identity, race, and morality,” he observes, “while the traditional conflict over economics, though still important, is less divisive now than it used to be.” Among the study’s other findings? That “in both parties,” Drutman writes, “the donor class is both more conservative on economic issues and more liberal on social issues, as compared to the rest of the party.” Relatedly, the one thing Clinton and Trump voters do tend to agree on is that politics is a rigged against them. While it would be foolhardy to read too much into either one study or the actions of one small slice of the electorate — and no single belief should guide a principled left politics — the upshot of these data points is pretty clear: the Democratic Party will continue to wither into irrelevance if it continues to swing right in an appeal to some fictional, establishment-friendly center, and to paint Trump as an abhorrence to an America that was already great before he got elected. What he was referring to were districts that look a lot like Georgia’s Sixth: represented by Republicans in Congress but that voted for Clinton, almost all of them suburban, relatively wealthy, and overwhelmingly white. In particular, Fallon told Vox ’s Jeff Stein, these are districts that had gone for Mitt Romney in 2012 and for or nearly for Clinton in 2016. In other words, Fallon advised, the best chance of beating the GOP is to convince former Republicans that Democrats are good businessmen. In Georgia Six, it was as if Democrats (rightfully) received the message that they should care about races that happen between presidential cycles, but in doing so fell back on the same tactics they’ve been using to try and elect presidents: throw lots of money at Republicans to somehow convince them to vote for a Democrat. It’s a problematic strategy for a number of reasons. For one, crafting talking points around a subset of Republican swing voters lets Democrats’ opponents determine their strategy for them, and encourages the party to abandon whatever semblance of a base it has left. It also ignores the over forty-odd percent of people — poor and young voters, especially — who tend not to vote at all. It also hasn’t worked: Democrats have lost over one thousand seats since 2008 using a strategy achingly similar to the one Fallon outlined. It’s out of step, too, with where the energy of the party lies, and the types of people and policies likely to garner grassroots support. Bernie Sanders is the country’s most popular politician, and the majority of Americans support single-payer health care alongside a spread of other seemingly far-left ideas. Millennials are especially left-leaning, though have felt reliably uninspired to show up to vote, turning out to the polls to the tune of 50 percent in 2016 and just 20 percent (on average) in midterms. Yet Sanders won more millennial voters than Trump and Clinton combined. Across the pond, record youth turnout for the Labour Party — which ran on a brazenly left-wing platform — gave way to a historic upset and the Tories’ humiliation. It’s not all that surprising, considering the fact that a majority of young people reject capitalism. Across the aisle, voters now tend to agree that the establishment is working against their best interests. Working-class people and millennials are particularly screwed. Party donors and consultants — the establishment, that is — disagree, and craft campaign strategies, like Ossoff’s, around the notion that nothing is broken. With politics increasingly defined by the difference between the haves and have-nots, being able to offer a coherent definition of those two categories is everything. Clinton couldn’t. Building on years of Republicans’ racist Southern Strategy and fearmongering about immigrants and terrorists, Trump did. He offered a vile version of the story of ordinary Americans’ decline, scapegoating immigrants and Muslims for problems his class had created. The haves in his vision were the immigrants taking American jobs and making the country less safe and (relatedly) white, along with the Clintons and Obamas and their pals at Goldman Sachs. The have-nots were the “forgotten men and women,” as he put it, whose jobs were being taken and shipped overseas. Bernie Sanders told a rendition of the story rooted in reality rather than racism: the 1 percent has been stealing from working people for too long. 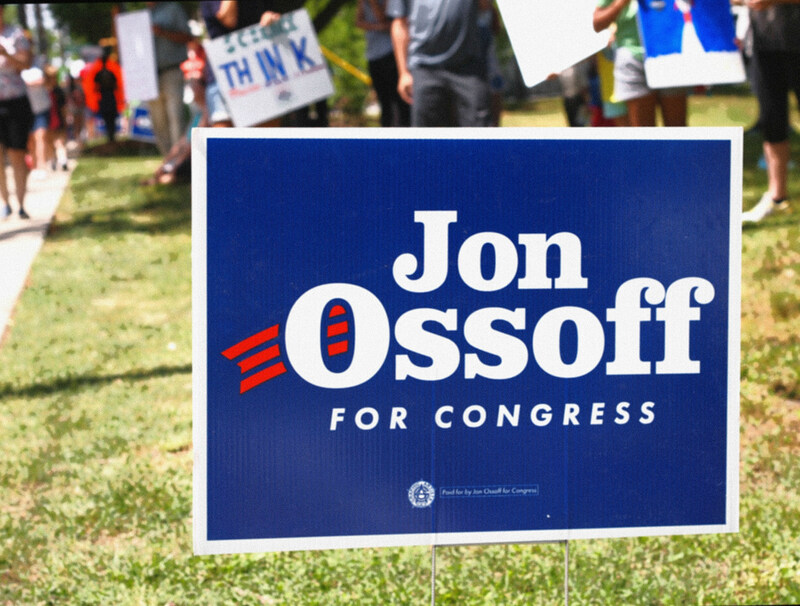 All this is not to say that Jon Ossoff would or could have run successfully as an open socialist or even Bernie-lite candidate in GA-06, or that a farther-left candidate would have been better suited for the job. Suburban Atlanta’s Romney voters are not sleeper agents for socialism, waiting around to be activated by an agenda of nationalizing railways and electric utilities. But Democratic Party higher-ups and consultants are severely misguided if they think their party’s future lies with either the neoliberal economics that defined Ossoff’s campaign or with the voters they thought they might win over with it. It doesn’t take a degree in political science to figure out who the future of left and progressive electoral politics are in this country. Any path to victory over the GOP involves running on messages that can expand the electorate overall to include more young and working-class people, offering both a tight narrative about how things got this bad and tangible ways to make them better. The service sector alone accounts for some 80 percent of jobs in the United States, 57 percent of which are held by women and 41 percent by black and Latino workers. By 2032, people of color are slated to become the majority of the American working class. So winning those voters will also require supporting leadership from candidates who don’t look all that much like Sanders at all, and who can better articulate the deep ties between race and class than he was able to in the primaries. Instead of taking the lead of their party’s most energetic wing, a not-insignificant number of Democrats are still chasing voters who either don’t exist or have voted for Republicans for the last sixty years. Ossoff-ish candidates will never provide the kind of visionary campaigns, policies, and platforms that will allow us to build a more empathetic and democratic world; as should be clear by now, they can’t even win an election. With authoritarianism and climate catastrophe creeping, the 1932 Socialist Party candidate Norman Thomas may have put it best: “Capitalism needs nationalism as the opium to keep the workers exploited . . . The choice now confronting the world is between Socialism and catastrophe!” Panera Bread isn’t on the menu.